William Tweeddale is a Physician Assistant with 15 years of experience. He originally graduated with a Bachelor of Science degree from Wagner College in Staten Island, New York in 1968. He worked for International Business Machines as a staff programmer for 24 years before he became a Physician Assistant in the state of New York in 1997. Since then he has had an array of experiences in different medical settings including: emergency medicine, urgent care, and orthopedics. 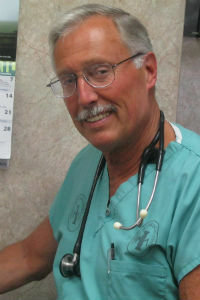 He has worked at the Hudson Valley Orthopedic Center in addition to the Horton Medical Center in the emergency department and the emergency department in the Kingston Hospital before joining the Emergency One team in 2005. Besides practicing medicine William Tweeddale is a member of the American Academy of Physician Assistants and Advanced Cardiac Life Support.